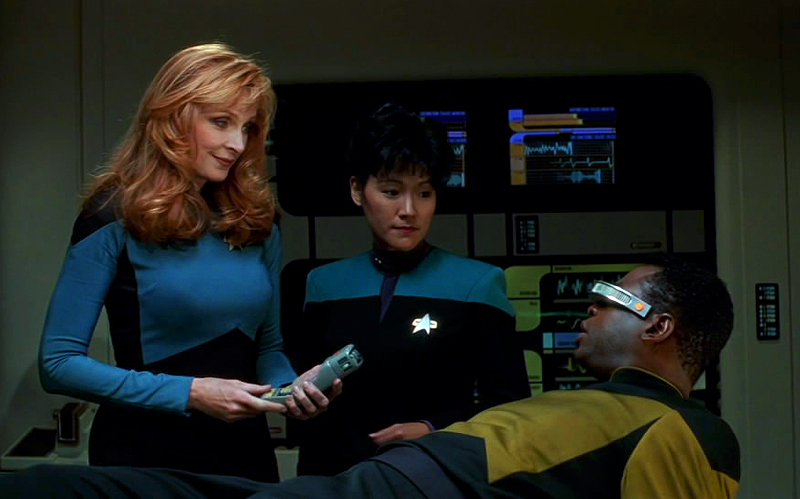 In the Science Fiction universe of Star Trek, future doctors use a sophisticated device called a “Tricorder”. This device allows physicians to look inside their patients without intrusive surgery, hazardous X-rays or bulky MRI machines. A diagnostic tool like this could save thousands of lives. The good news is, we probably won’t have to wait until the year 2265. Researchers are now working in a fascinating new field called Femto-Photography. It is photography at a trillion frames per second. At these kinds of speeds, it is possible to photograph individual packets of light as they move across a room or into an object. It turns out that when we shine light on something, such as a tomato, part of that light penetrates the tomato and reflects back out. Femto-Photography could use this effect to construct an internal image of a patient. Featured in this fascinating Ted Talk, Ramesh Raskar shows Femto-Photography in action. 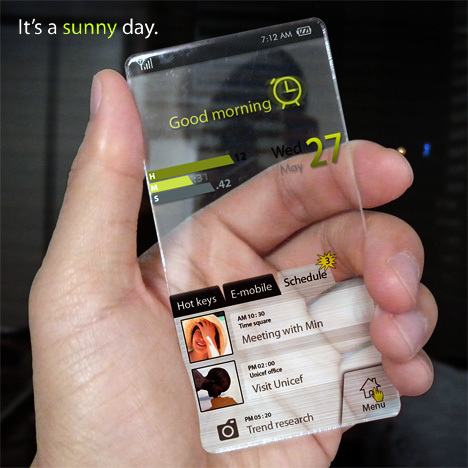 This entry was posted in Commercial Applications, Science, Technology, Ted Talks on February 28, 2013 by HFuturist. Do the Clouds Show Signs of Impending Climate Change? 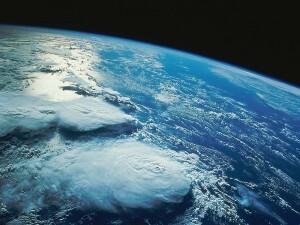 The weather on our planet is extremely complex. However with the help of super computers, meteorologists and climatologists are learning more and more every day about how our weather system works. We now have satellites in stationary orbit that watch our planet constantly. These satellites record vasts amount of data and transmit it back to organizations like the National Oceanic and Atmospheric Administration (NOAA). Even with super computers, there are limitations on the amount of data that can be processed. Over time and with the advent of quantum computers, these data processing limitations will disappear. However, I believe the eventual road block will be a lack of long term data. Imagine having global cloud formation data not just from the past 20-50 years, but from the past million+ years. It could be as simple as a million+ year video of earth from space. Now play it in fast forward or use an algorithm to search for patterns in cloud movements/formations leading up to major climate changes. Is there a pattern? Who knows, maybe one day our descendants will look back and wonder why some of us could doubt climate change when the signs were written above us in the clouds for all to see. This entry was posted in Climate, Time on February 27, 2013 by HFuturist. When I read the question, my imagination started running with the idea….here is what I speculated. Yes there are soul particles. They linger about in clusters. Sort of like dust storms. 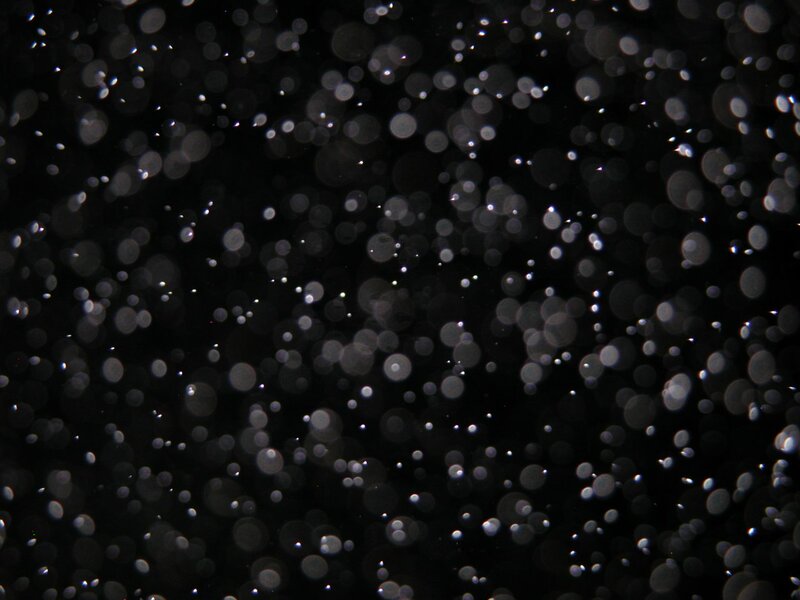 Like dust storms, each individual dust particle is in close proximity to the other. That’s the definition of a “storm/cloud”…a bunch of particles blowing around close to each other. One of the differences between a conventional dust cloud and a soul particle cloud is the dimension in which they are close. Dust clouds work in 3 dimensions. The way we know things in every day life. The soul particle clouds work in a 4th dimension. Or some sort of an equivalent. For example, one particle could be in China and another in Norway. They are far apart in 3 dimensional space. But in 4 dimensional space they could be side by side. Soul particles are generated by, and also attracted to, the quantum effects in neural tissues. Quantum effects in the neural tissue are the result of electrical activity in the brain. The electrical activity and it’s patterns are determined by the experience of the person and the way their biology reacts to that experience. There are probably “funky” type effects too. For example, soul clouds might attract other soul clouds which include clusters of other people. Like how certain types of people tend to get along with other similar types of people. And “converse” relationships like that between victim and predator may exist as well. They seem to find each other too, over and over again. People can move in and out of soul particle clouds by changing their thinking. That thinking changes the electrical impulses in the brain. Those electrical impulses have quantum effects on the neural tissue. The soul particles interact with those quantum effects. Maybe the quantum effects can also have effects on the thinking. There are probably larger clouds and smaller clouds. Some are easier to move into or out of than others. They can overlap. 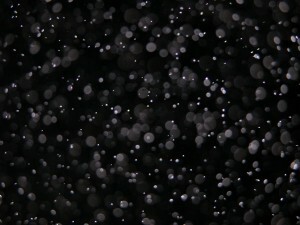 And somehow, these soul particles tend to have an influence on events that are not directly connected to human influence. Like weather, luck, environment and the time period in which you are born. And maybe seemingly random experiences like the types of information people happen to find themselves exposed to (for example you walk through a book store and a book catches your eye and changes your life). Funky. This entry was posted in Biology, Science, Society on February 26, 2013 by HFuturist. Welcome to The Humbe Futurist Blog. I hope you find my ideas interesting. Participation is encouraged! My background is in technology and psychology. My approach and perspective is often routed in these two disciplines. My recent academic interests include Astronomy, Cosmology, and programming. I think about the future of human-kind and the universe frequently. The two are really one in the same. Carl Sagan said, “We are the universe trying to understand itself“. 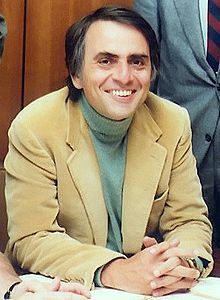 Carl Sagan is one of my heroes. As human beings, we are undergoing a revolution in consciousness. New scientific discoveries tell us more about ourselves and the universe every day. The approach to an extremely positive “tipping point” has begun. This entry was posted in Uncategorized on February 26, 2013 by HFuturist.